Benjamin Franklin was one of the Founding Fathers of the United States of America. He was a leading author and painter, satirist, political theorist, politician, scientist, inventor, statesman, soldier, and diplomat. He invented the lightening rod, bifocals, the Franklin Stove, and a carriage odometer. 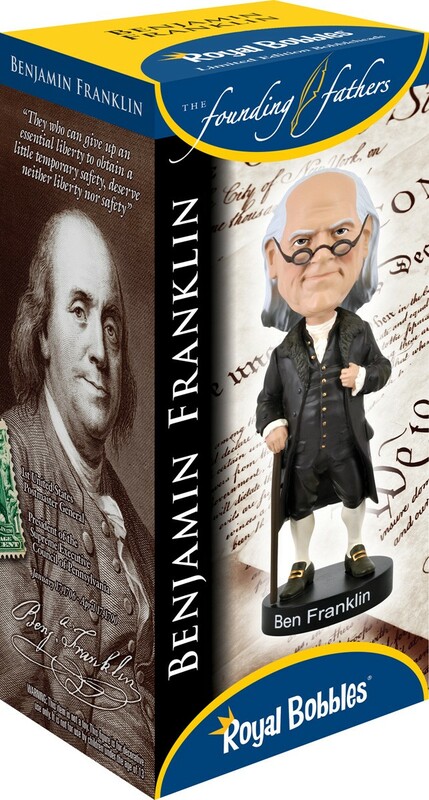 This is a new version of the classic Royal Bobbles Ben Franklin bobblehead, designed to be more realistic and respectful than the older version.